For the first time in our 26-year history, Visual Studio Live! is heading down south to New Orleans for intense developer training, bringing our hard-hitting sessions, well-known coding experts and unparalleled networking to the Big Easy! > Seats are filling up - secure your spot today! Join Visual Studio Live! for an amazing view of Beantown, bringing our expert speakers for intense developer training, Hands-On Labs, workshops, sessions and networking adventures to the Northeast. Join our Visual Studio Live! experts at the Mothership for 5 days of developer training and special Microsoft perks unique to our other show locations. Plus, we are adding the ever-so popular full-day Hands-On Labs to the agenda in Redmond for the first time this year! Head to the heart of the San Diego Gaslamp District with Visual Studio Live! this Fall as we immerse ourselves with all things for developers, including several workshops, sessions and networking opportunities to choose from. Head to the Windy City and join Visual Studio Live! this October for 5 days of unbiased, developer training and bringing our well-known Hands-On Labs to the city for the first time. Learn more about SQL Server Performance Tuning and Query Optimization. 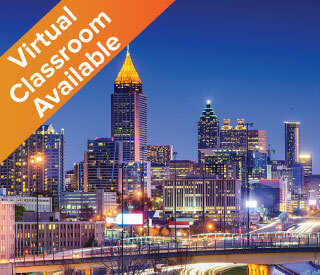 Expand your knowledge and accelerate your career with both in-person and virtual attendance options. Visual Studio Live! Orlando is a part of Live! 360, uniquely offering you 6 co-located conferences for one great price! Stay ahead of the current trends and advance your career – join us for our last conference of the year! Share your email address to stay informed on all Visual Studio Live! special announcements.